Tatiana lives in San Diego, California. 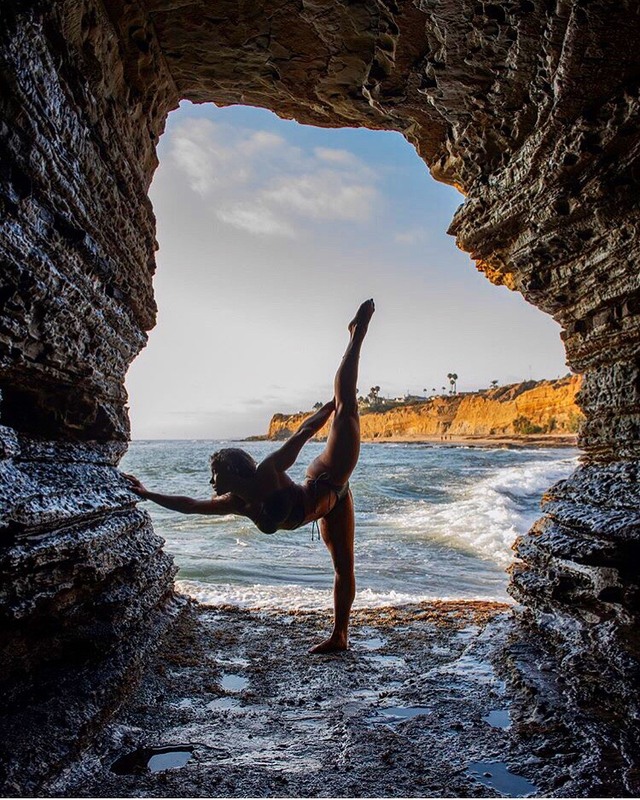 She came to San Diego to attend college at San Diego State University, where she received her Bachelors Degree in Kinesiology Pre-Physical Therapy. Tatiana loved learning in depth about the human body throughout the physical therapy classes she took there, but her true passion has always been physical and mental health, fitness, and impacting others to take control of their goals. So she decided to make that her life! Tatiana began teaching all types of group class modalities such as; Barre, Pilates, TRX, Kettlebell, Battle Rope, Bootcamp, Spin, and Vinyasa as well as Yin style Yoga Classes. She also owns her own personal training brand and works independently with female clients who are looking to improve their eating habits, learn how to work out for their goals and body, and to boost their confidence in the process. We sat down with Tatiana to ask her a few questions about what she does for working out, what she eats and which EBOOST product she loves the most. I love all form of movement! Nowadays many of my workouts happen in a standard gym since I spend the majority of my time there training clients! When I train in a gym, my favorite day is leg day! Most of my leg days consist of starting with some Resistance Band Activation, and then getting into Heavy Hip Thrusts, Stiff leg deadlifts, Side Step Ups, Reverse Lunges, and some Plyometric exercises. I also have a background in teaching Pilates, Barre, TRX, and yoga, so I LOVE to get into classes as well. I’m a huge people person, so I always love the energy in classes and I love being surrounded by other people who are pushing themselves to their limits! When I get the opportunity to bring my workouts outdoors that always makes my day! Hiking, Stand Up Paddle Boarding, Outdoor yoga, and attempting to surf (haha) are some of my favorites! When it comes to diet, I feel that a flexible approach and not labeling things off limits is best to avoid burnout and stay consistent. I try really hard to stick to wholesome, nutrient-dense foods. Green Vegetables, Whole Grains, Fruits, and lean meats such as chicken and ground turkey are some staples. I chose to work with Eboost because I love that Eboost is a trustworthy, no-nonsense brand. It’s not a brand trying to sell their products with false promises and extreme packaging, it’s a brand that sells itself through high-quality ingredients, complete products, and genuinely wanting to help the consumers live a better more healthy life. My favorite product is SPRUCE. This is the product that got me hooked on the brand! It makes my tummy and I so happy! It also gives me peace of mind when I don’t get in as many vegetables throughout the day as I wish I would have. I love that it has added fiber in it, which is often lost through the freeze dry process. And I also love that it has natural caffeine it because I don’t drink coffee. I love to drink it first thing in the AM and get my day started off right! Learn more about Tatiana and what she is up to daily by following her on Instagram. If you want to work with Tatiana you can find out more information on her website, where she also shares great tips on her blog as well!